Get Captions on your Mobile Calls! 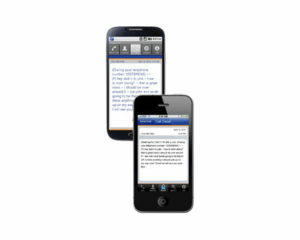 Mobile apps makes it easy to get CapTel captions on your mobile devices! Visit our WebCapTel service partner below to learn more. Get Captions on your Web Browser! WebCapTel lets you enjoy telephone conversations with the convenience of online captions. Visit our WebCapTel service partners below to learn more.